When the shad season began the folks at Fletcher’s did not have their full fleet of rowboats available for rent. The National Park Service did not want them to do any off season rowboat maintenance at the park, like they’ve been doing for I don’t know how many decades. Instead, they wanted all maintenance done at the boatyard in Alexandria. Well, this created a supply and demand problem just as shad fishing was picking up. As I slowly drove out of the tunnel and pulled around the curve, I saw that there were no boats at the dock. Dang! Out of luck on a beautiful, cloudless spring day. I registered at the Fletcher’s concession and my name was added to a wait list that had 25 names on them. But the employee behind the counter told me that most folks had already given up on getting a boat and left, so I might get lucky. The weather, and fishing, was warming up. I passed the time waiting for my boat to arrive by downing a Fletcher’s doggie sandwich and a cold carbonated soft drink. Three boats pulled into the cove. After going down the list, there were three names on the wait list plus two fly anglers waiting with me at the concession stand. They phoned one of the names on the list and he said he already left and did not want the boat so one of the fly guys scored a boat. The second name on the list was called and he said he’d be there in 20 minutes. The call to the third name on the list went to voicemail and he was told he had 20 minutes to phone back or the boat would go to someone else. The deadline came and went and the second angler was soon rowing out the cove. I sat and waited on a rock in front of the concession stand, enjoying the warm afternoon. 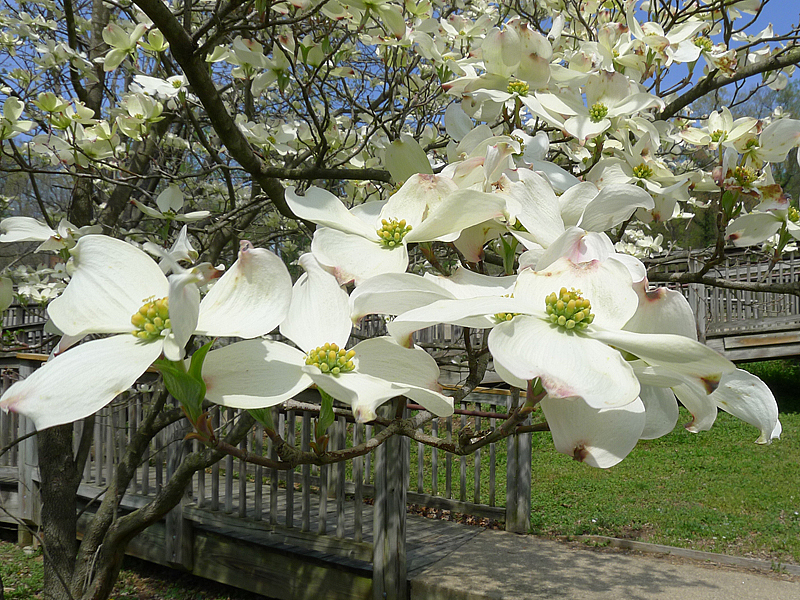 Blue skies, a gentle breeze and blooming Dogwood trees. It was Spring in Washington, D.C. Finally, another boat slowly moved into the cove and to the dock. The folks at the concession stand yelled, “That’s your boat!” No need to tell me twice. I geared up and headed out. Like the previous day, fishing was awesome. Despite waiting on shore for almost an hour, I still managed to catch and bring to hand 47 fish before I had to return the boat. The 2017 shad season was off to a great start. 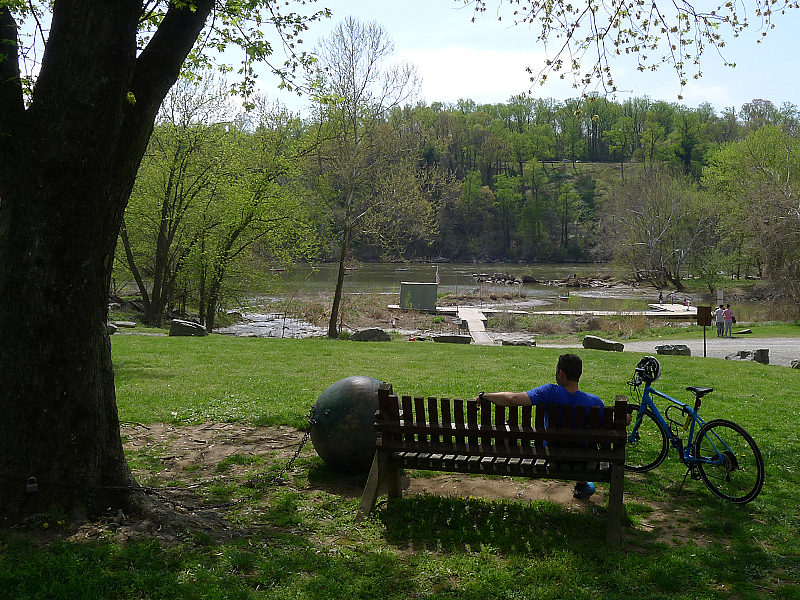 DIRECTIONS: Fletcher's Boat House is located on the Potomac River in Washington, DC, two miles north of Key Bridge and one mile south of Chain Bridge, at the intersection of Reservoir Road and Canal Road. You will know you have reached the entrance to Fletcher's when you see the traffic lights and the Abner Cloud House, an old white stone building, which is next to the canal, and will appear on your left if you approach from Key Bridge, or it will be on your right approaching from Chain Bridge. The Fletcher’s boat rental office usually opens at 7am, but when the shad are biting hot and heavy they open earlier to accommodate anglers. You can get a D.C. fishing license and a boat at the rental kiosk. They also sell basic fishing equipment, bait, lures, hot dogs, candy, chips, drinks and ice cream. WARNING: The entrance to Fletcher’s Cove is a very narrow ramp that can accommodate only ONE car at a time. There is a stop light and a small pull-off area where a car can wait for the light to turn without blocking incoming access. Use it! It is also very easy to drive past the Abner Cloud House, so be alert. And it is REALLY difficult to negotiate this ramp if you approach Fletcher’s Cove via Chain Bridge because the entry ramp will be facing away from your direction of travel. There is NO RAMP facing Chain Bridge. Park in the upper lot on your left or go through the tiny tunnel (if you have anything on roof racks, I suggest checking the tunnel height BEFORE entering) to the lower parking lot and dock access. WARNING ON WEEKDAYS: Both lanes of Canal Road become ONE WAY into and out of the District during morning and evening rush hour during the weekdays. If you're hitting Fletcher's in the morning and following the route above you have until 5:30am to get there. If you miss this window you must wait until 10:20am because all traffic on Canal Road is ONE WAY into the city. You must use Canal Road via Chain Bridge in the morning and trying to make the u-turn into Fletcher's during rush hour traffic can really get the blood pounding! Canal Road becomes one way going towards Chain Bridge from 2:30 to 7pm, so you have to hang a sharp U-turn, in rush hour traffic, when you leave if you’re heading towards Chain Bridge.